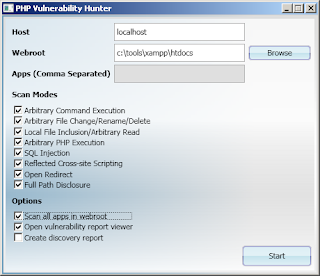 PHP Vulnerability Hunter is an advanced automated whitebox fuzz testing tool that can elicit a wide range of exploitable faults in PHP web applications. 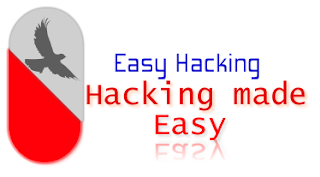 Since most of the webapplications now a days are on PHP, therefore PHP applications have been one of the major target of hackers, PHP Vulnerability scanner is the same tool that helped detect most of the web application vulnerabilities listed on the advisories page. Like all the best tools in the world, this also needs little or no configuration at all, and doesn't require a user specified starting URI. So, you can begin scanning as soon as you download and install this software. The tool itself runs on a pretty basic mechanism. 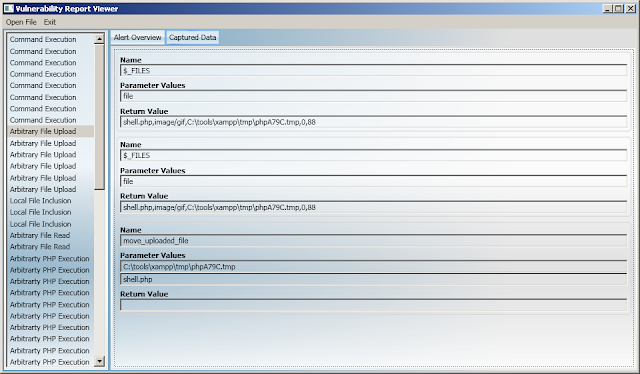 At the core of the PHP Vulnerability Hunter scan algorithm is dynamic program analysis. 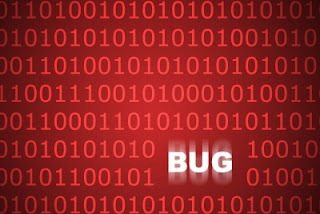 It analyzes the program as it’s running to get a clear view of all input vectors ergo better code coverage leading to greater confidence in code security.